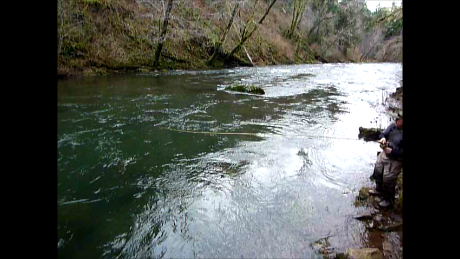 Brian Marz's Fly Fishing Oregon Blog: This Winter Steelhead Season is Rocking!! Things Just Keep on Getting Better! 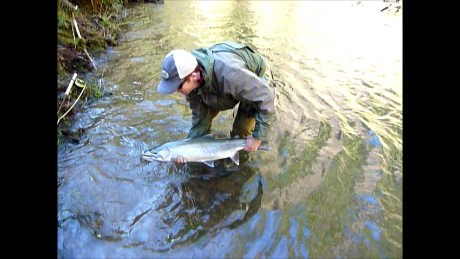 This Winter Steelhead Season is Rocking!! Things Just Keep on Getting Better! Wow nice fish! Is that a bare hook and a bead? I am struggling with this one. I'm sure it's extremely effective, but...what seperates us from those chucking globs of roe or lining/flossing fish? I thought there's something about having an actual fly attached to the end of your line. I guess I can't confess to being a traditionalist because I too use a bobber to catch fish, but where do we draw the line? Why worry about it? I was out on Friday and the bead only caught one fish, and 7 were hooked on "flies" that were tied in a vise. 2 were even on a marabou fly, but then someone may call that fly I used a jig; since I was dead drifting it. ;) I swung 100s of cast on the same day, and not even a sniff of a pull. Yesterday, we fished all sorts of patterns on a guided day out, and the beads resulted in 5 hook ups. Every other angler we came across was skunked for the day. I tried all sorts of patterns, but the beads were what worked. Imagine if I never tried them, and I may have had two clients that may have not gotten to toggle with any steelhead, after not sleeping the night before dreaming about them. If you are having fun while "fishing", then that is all that matters. I am fishing with a fly rod and reel, and I enjoy that. I would not want to fish with a spin reel and bobber, even though I can run the similar patterns off of it. Fly casting is fun, and throwing dead drift rigs is tough, and challenging. I guide and have to produce results, and if the bead hooks a bunch of fish and smiles result, then awesome again! I am not into the idea of beads because rigging them is way more annoying than rigging flies up, but they work well, and defining how we fish is for something many fly fishers seem to struggle with. I feel being ethical and a steward to the fishery is the most important thing. 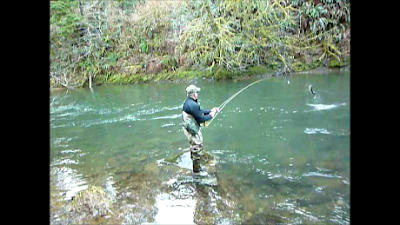 I have seen more "fly guys" fishing to spawners; so they can say they caught a steelhead than just about any other type of angler. Many people's ethics fly through the roof when they are in the presence of big vulnerable fish. Hope you are doing well Tim!! Thanks for the reply, Brian! I too enjoy the art of the sport in casting reading water and all that it stands for. I don't have to produce results for clients so I have more leeway in what I choose to use. That said, I know I have lost many fish because I had materials tied on the hook got in the way of a solid hook set which is frustrating! I also have never hooked a winter steelhead on the swing, so I tend to continue to use what works for me, and those flies are the easiest to tie for me :). I agree with you on the ethics and being a good steward for the fishery. I know we're not standing on ladders and targeting vunerable fish or fishing with a slinky and 5' of tippet cast into a plume. I think the most important thing is to enjoy our experience, appreciate the rivers and fish, and keep this resource viable for our kids and their grandkids and beyond so they too can be stewards of their environment. BTW, I am doing well. Three kids and two dogs and a wife! I really enjoy your blog because I can vicariously enjoy your fishing experiences. I definately don't get out as much as you, but am lucky to get out more than others that I know. I am intrigued by the north coast fishing. I seems like you find streams chock full of fish without a ton of pressure. I know the few times I fished the streams up there, N. Fork Nehalem, the wilson and the Necanicum, there have been lots of people from the portland area fishing as well giving it a very crowded feel, sort of like the siuslaw or n. fork alsea. So how do you find these places?